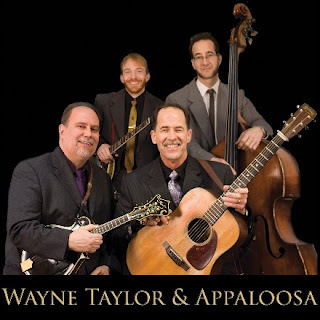 Wayne Taylor & Appaloosa (USA) will be the headline act at the Scottish Bluegrass Association's Guildtown Festival on 29 July-1 August 2011. The band consists of Mark Delaney (banjo), Emory Lester (mandolin), Kene Hyatt (bass), and Wayne Taylor (guitar) himself, who is on the front of this month's Bluegrass Unlimited magazine. Also appearing at Guildtown will be G-Runs 'n Roses (CZ), the current #1 European Bluegrass Band, together with leading Scottish bands. The centenary of Bill Monroe's birth will also be celebrated. Tickets for the festival are now on sale. For more details, and more news, see issue #11 of Bluegrass & More, the SBA e-magazine.